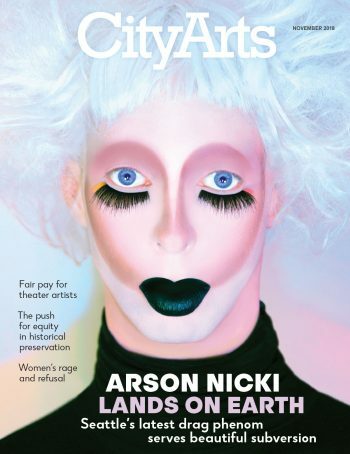 Arson Nicki has a day drag and a night drag. ICONS: My signature lip is directly inspired by Alexander McQueen’s Fall 2009 RTW collection. Also: Iris van Herpen, Gareth Pugh, Leigh Bowery, Maison Margiela’s recent output, Comme des Garçons and BCALLA. I’m fascinated by clothes with silhouettes that appear to be from another dimension entirely. 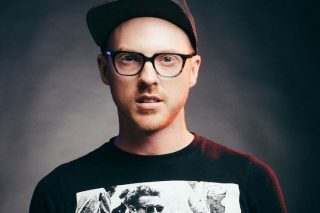 In terms of drag: Ryan Burke, Taylor Mac, Sussi Suss, Kim Chi and Lyle Xox.